Is “tasting stars” on your list for great food and wine pairings? Not sure what wines to try next? We, too, like wine lovers from around the world, have a special love affair from wine “where sudden friendship springs,” as John Gray said. We sip the wine and find dreams come through. Aren’t we always looking for clues that there is a “star” behind the recognized labels, for personal, unforgettable moments? Free Subscription: Join our thousands of followers to receive your copy of our Wine Lovers’ Choice: 154 Wines of France, including wines from Bordeaux and Champagne, along with e-mail notifications of new posts on the website. Can we make some interesting and pleasing discoveries at home as a hobby? We asked. “Be curious and audacious. Never let the professionals decide for you! There are just a few basic rules to respect (but remember rules are made to be broken): you walk on two legs, so strong aromas on one side require strong aromas on the other, otherwise you lose the weaker ones; proteins of meat call for tannins; very salty cheese like Roquefort match perfectly with sweet wines; start your dinner with light dry acidic wines and finish with tannic red wines then sweet wines; some foods are very difficult to match with any wine, like garlic, anchovies, asparagus, crudités, yoghourt, citrus fruits, mustard, vinegar, and too spicy food.” Interview: Wine in France: Charles-Erwan Savary, Champagne Ambassador to France, wine educator, and founder of “People and Wine” published on A Woman’s Paris®; including Champagne recommendations. Winemaking in France has been an industry dominated by men. When you entered the industry in 1991, at age 36, after the sudden loss of your husband that same year what were the challenges? We inquired. “I was only 36 and had 3 children. For managing such a company, that was far from the standard of the industry. I was not even from Champagne or French. Only a few thought I would be up for the challenge. What pushed me to success is the promise I made to my husband that I would transmit the familial company to our children. The challenges were numerous, but I overcame them. When I am looking back, I am first of all proud of what I have accomplished as a mother… that’s probably a main difference with my male counterparts! Regarding the wine industry in general, I doubt the situation for women evolved much. We always have to prove ourselves more than men.” Interview: Wine in France: Carol Duval-Leroy, President of Champagne Duval-Leroy and respected partner of the global sommelier community, on the essence of exceptional quality Champagne published on A Woman’s Paris®; including recommendations for drinking Champagne and sparkling wine. 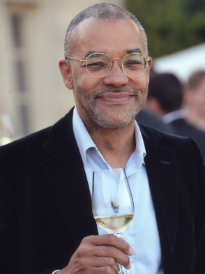 We wanted to ask Dewey Markham Jr., wine scholar, food connoisseur, and author of “1855: A History of the Bordeaux Classification” a James Beard award book, 1997, about women tending the winemaking and running the châteaux in Bordeaux from 1940-1946, during World War II. What kind of wine drinker, wine connoisseur do we find today? We were curious to learn. “The type of wine drinker is a function of how mature the wine drinker’s market is. That is to say, when a country’s population begins to develop a significant interest in wine, the wine drinker doesn’t have many points of reference and so gravitates towards the “heavy hitters,” the established—and usually expensive—wines with a reputation that will be a safe choice to present to one’s dinner guests. This is what we found in the United States in the 1960s, when post-war prosperity led greater numbers of Americans to think about wine, and the money was available to buy, say, Bordeaux first growths without too much financial inconvenience. With time and experience, greater familiarity and comfort develops and a wine drinker begins to develop a more adventurous approach, looking further afield to find wines, which are good quality although not necessarily of great renown. After several decades this is where the American wine drinker is today.” What about today? We asked. “In China, which began this same ‘apprenticeship’ in the early 2000s, the wine drinker there is emerging from this ‘heavy hitter’ phase, starting to understand that there is more to wine than just Château Lafite.” Interview: Wine in France: Dewey Markham Jr., wine scholar, food connoisseur, and author of “1855: A History of the Bordeaux Classification” a James Beard award book, 1997 published on A Woman’s Paris®; including wine recommendations. “The great wines of Bordeaux definitely symbolize tradition, quality and art de vivre à la française; they carry a strong image of the best of what France offers. To produce a great wine is to respect a terrior, a style and a personality. 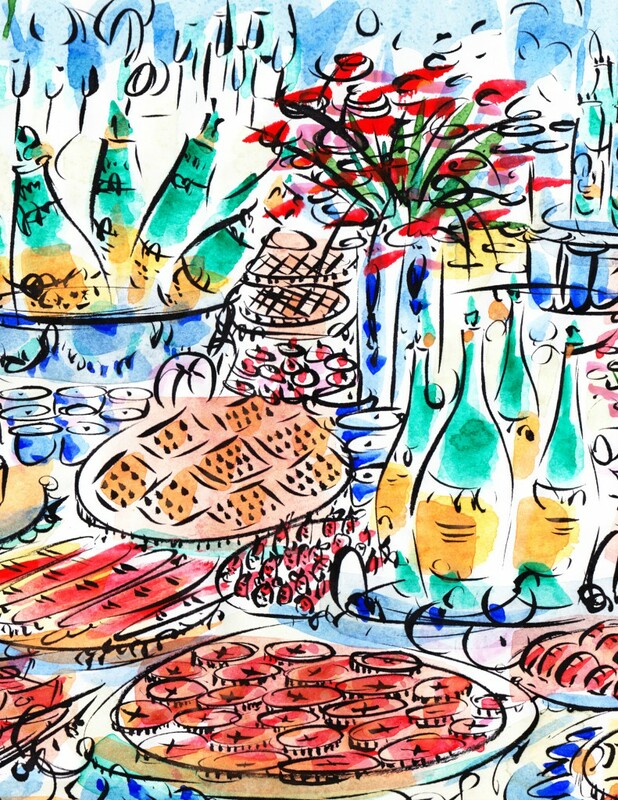 It is both artisanal and artistic,” Véronique Sanders, general manager of Haut-Bailly tells us. 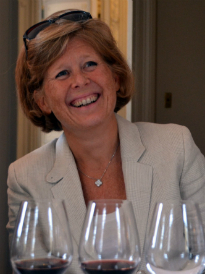 Interview: Véronique Sanders of Château Haut-Bailly, and recipient of the “Chevalier de l’Ordre National du Mérite” honorary title awarded by the French government published on A Woman’s Paris®, including wine recommendations. “Wine enthusiasts want to understand the wine they are drinking. What they soon find out is that the wine they taste is much more than just fermented grape juice. Rather, it is the result of centuries of contact with a terroir, decades of families transmitting their savoir-faire from one generation to another and the daily rigor (with or against nature—depending on the weather conditions) of a committed team to perpetuate the quality and style of a château into the future. Every harvest becomes an opportunity to pay homage to the Château’s past custodians—the property’s heritage,” said Aline Baly, co-owner and director of marketing and communications of Château Coutet. 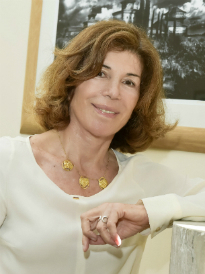 Interview: Aline Baly, third generation owner of Château Coutet, on refinement and distinction in wine from one generation to the next published on A Woman’s Paris®; including wine recommendations. “Just out of the French ski team where we were members, Daniel and I were married. As we did not want to have a classic wedding gift list, we asked for good bottles of Bordeaux. We did not know a lot; and we were not at all used to drinking any alcohol and every night we were tipsy after sharing a full bottle of classified growth. I remember a Château Leoville Las Cases 1961, a Château Figeac 1955… first emotions,” recalled Florence Cathiard, co-owner with her husband Daniel of Château Smith Haut-Lafitte. 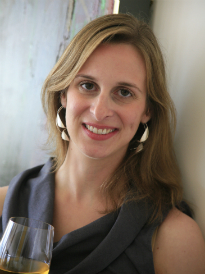 Interview: Florence Cahtiard of Château Smith Haut-Lafitte, together with her husband Daniel (both former French Olympic Skiers), brings finesse and exceptional detail to making great wine published on A Woman’s Paris®; including wine recommendations. Women in France have played a key role in winemaking throughout history: think about Champagne’s Madame Clicquot, Madame Pommery, Madame Bollinger, Madame Jouët, just to name a few. Still today, many women manage Champagne houses, such as Vitalie Taittinger, Carol Duval-Leroy, Nathalie Vranken, Margareth Henriquez, and Alice Paillard, among others. In Bordeaux, too, where women winemakers Véronique Sanders, Aline Baly, and Florence Cathiard are uncovering refinement and distinction in French wines. Here at a Woman’s Paris, we take hold in conversations unlike anything we could have ever imagined in this setting of winemakers who beckon us to see behind the “official” labels, beyond the liquid itself. We revel in this familiarity, across generations, languages and hemispheres. Like Charles-Erwan Savary, Champagne Ambassador to France, and Dewey Markham Jr., author of a James Beard book award, experiencing lasting knowledge through pairing wine and food for an experiential taste of culinary culture in France. I, too, am in awe at what visual appeals and aromas, tastes and enjoyment lie behind the “official” labels. Here’s to friendship and special moments! Copyright ©2015 A Woman’s Paris®. All rights reserved. Leave a reply on "Wine Lovers’ Choice: 154 Wines of France from Bordeaux and Champagne"